No, not on my hand. Although I have a few of those! I’ve found another large blister in the spray insulation. 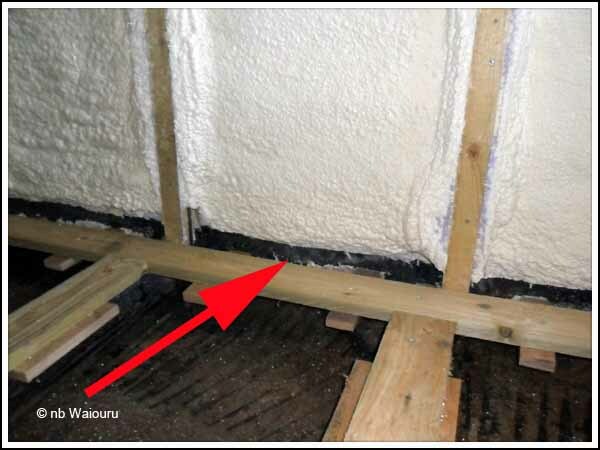 What has happened is the original spray foam has been incorrectly applied and hasn’t bonded to the steel. It’s also a very thin layer of foam. You can see it in the following photo. 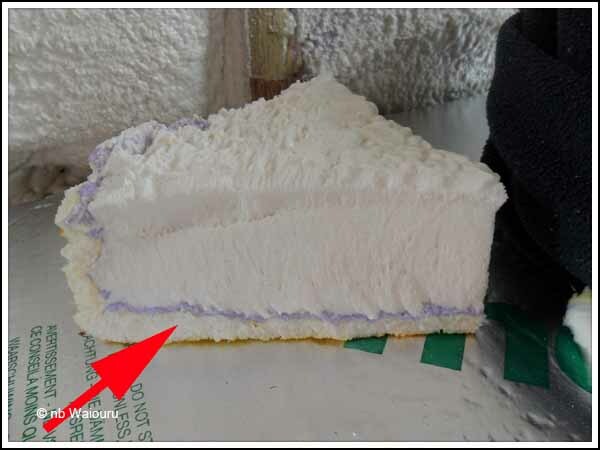 The red arrow points to the original layer of foam which is only about 7-10mm thick. When the new layer of foam was applied it tensioned up whilst setting which has been enough to pull the incorrectly applied foam off the steel. As you can see in the photo, the new layer of spray foam inside the boat is approximately 2” thick. 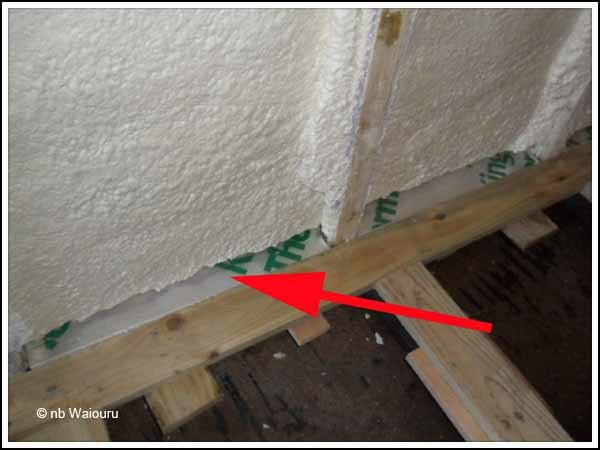 It’s quite important to create a thermal barrier between the underfloor Kingspan sheet insulation and the spray foam. to achieve this the spray foam was cut away from the side of the hull below the level of the battens installed yesterday. This was done using a carving knife and wood chisel. You can see the timber fillets made from offcuts which have been screwed to the underside of the battens. They protrude to the side of the hull. But don’t quite touch it. There are now two parallel straight edges. The side of the hull and the side of the timber batten. A pieced of Kingspan was then cut to size and fitted into the gap. There is almost no weight in the Kingspan so the timber fillets carry very little load. The gap between the Kingspan and the spray foam on the hull will be filled using an aerosol can of spray foam. I’m now confident there will be a thermal seal between the side of the hull and the insulation under the floor. I thought the first photo was of Mum's famous Lemon Meringue Pie? You and your stomach..... A chip off the old block!